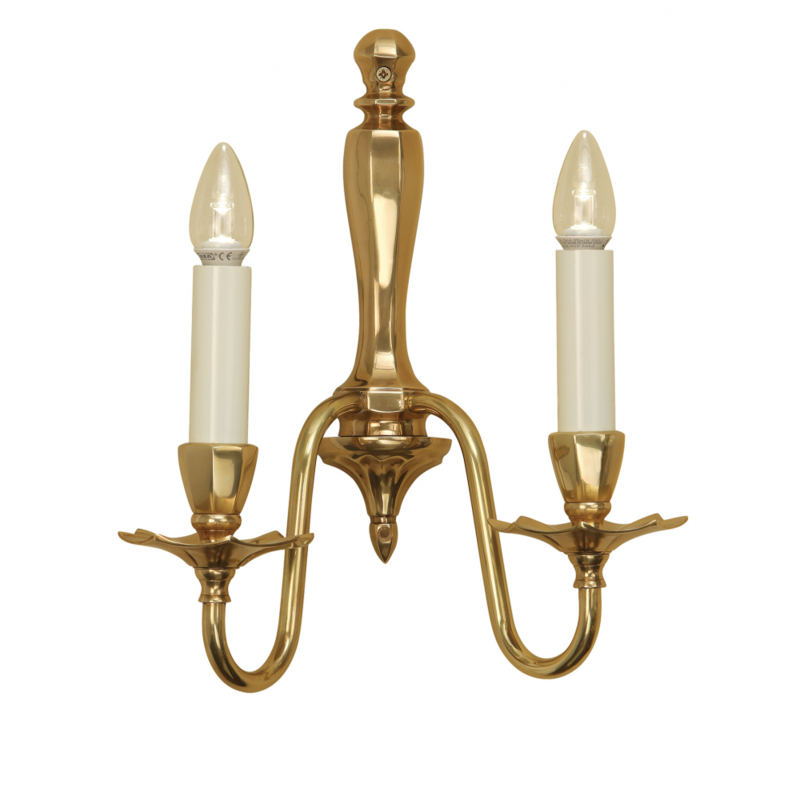 The Happy Homewares twin wall light is a solid brass fitting made to the highest quality, using traditional casting and hand finishing techniques. Matching items available. 15.5cm projection x 36.1cm height x 30cm width. Material: Brass & steel. Voltage: 220-240V.